Thank you for choosing to visit my site. 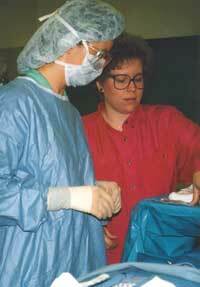 I am Becky Scheid, a Certified Surgical Technologist (CST/RST, M.Ed.). I am the Program Director for SCC's Surgical Technology program as well as a classroom instructor for Surg. Tech. and general health education (HED) classes. SCC | Health & Environmental Sciences | Allied Health | Surgical Tech. This page is the responsibility of the page author and not the responsibility of Spokane Community College. Copyright ©1999-present. All rights reserved. Please send questions and comments to Becky Scheid: Becky.Scheid@scc.spokane.edu.